McDonald's has appointed CAPA to carry out a full property and accounts payable audit on around 1,250 of the restaurant chain's properties. The property audit will involve CAPA undertaking a forensic analysis of property outgoings and data on invoices owed to McDonald's, as well as amounts owed to creditors. 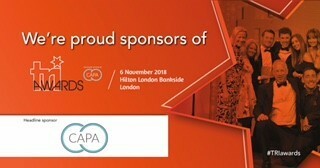 CAPA’s auditors will now use bespoke software to uncover multiple elements such as errors in utility bills, or overspend by the company on various payments. This in turn will help generate cash across more than 1,200 McDonald's sites. McDonald's has also given CAPA a management role to advise on all service charge issues, and to approve all payments. The team will inspect service charges to discover any overspend buried in the information, before recovering it for the franchises. In the UK, where McDonald's employs 97,000 people, around 1,250 restaurants serve about three million people every day. As a franchising organisation, around 70 percent of the UK restaurants are owned and operated by local businessmen and women.